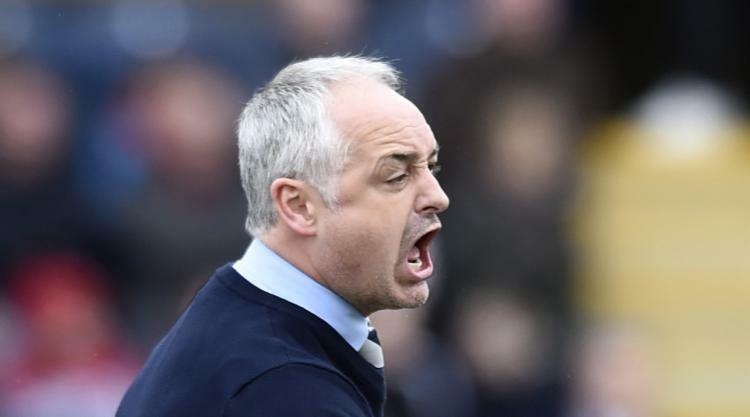 Dundee United manager Ray McKinnon feels his team are hitting form and fitness at the right time after they booked their place in the Ladbrokes Premiership play-off finals. United came from behind in the final 14 minutes at Falkirk as goals from Simon Murray and Paul Dixon - his first since February 2012 - earned them a 2-1 victory and 4-3 aggregate triumph. The Taysiders go into next week's two-legged final against Hamilton or Inverness on the back of a 10-match unbeaten run and McKinnon was proud of his players' character. "The desire to win games recently has been outstanding," he said. "They should have won the last 10 games in my opinion and I think they got their just rewards tonight. "We are definitely a team that's in form and the benefit for us is that they (Inverness and Hamilton) have to play their strongest sides on Saturday. There is no resting players for them. "In effect we have got an extra day recovery on them so hopefully we will be bang at it on Thursday night." United scored five goals in two legs against Morton and McKinnon believes they are finishing the season strongly. "I haven't seen that fatigue yet," he said. "We have got a lot of injuries, (Thomas) Mikkelsen and even Simon Murray was feeling his hamstring, Willo Flood's hamstring, and we have full-backs missing. Scott Fraser has been out with a broken metatarsal and he felt something click and had to come off. "But the character there is different class and I honestly don't think they feel tired. I said to them at half-time you are the fittest you have ever been. "They are fit boys, they are good professionals and they have given themselves a chance." Falkirk took an early lead through James Craigen but manager Peter Houston felt their composure let them down when they threatened to get a second after surviving United's strong start to the second half. They paid the price when Aaron Muirhead failed to deal with a flick-on from a long ball to let in Murray before Alex Nicholls was allowed time to cross and Dixon's header deflected off Tom Taiwo and looped into the far corner. But Houston said it was not a night for criticising his players after their third play-off disappointment in four years. The former United boss said: "It's heartbreaking for the players and the fans and I'm really disappointed we couldn't take it that step further. "We have to evaluate the season and try and bring in a wee bit of quality here and there if we can and go again next season. "That's Hibs, Hearts and Rangers out the league now and good luck to Dundee United in the final, I hope they do well."